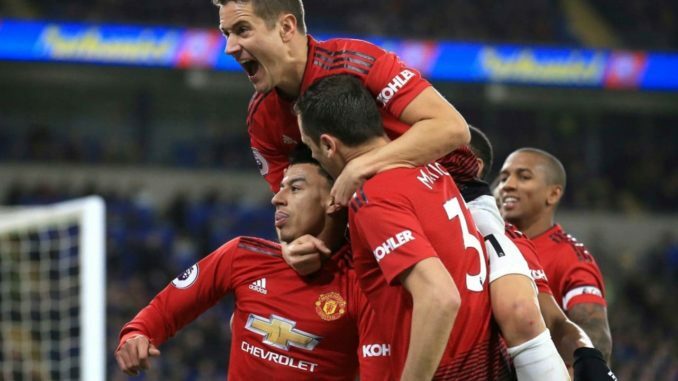 Manchester United will collide against Leicester City tomorrow and will hope to get back to winning ways after rescuing a point against Burnley in the midweek Premier League contest. The Foxes have been inconsistent in the current campaign but they have impressed against the top sides. They defeated Chelsea at the Bridge and Man City at home and earned a point against Liverpool at Anfield. United defeated Leicester on the opening day of the season. Who will come out on top this time? We shall see. As far as Solskjaer’s team news is concerned, we can expect the Norwegian boss to make three changes in the starting lineup that featured vs the Clarets. In the center of the park, Pereira was woeful vs Burnley and in his place, Ander Herrera should return to the starting lineup and partner Matic. On the other hand, in the attacking third, Juan Mata was too slow and failed to impress and we can expect Jesse Lingard to replace him to start on the right wing. Lastly, Rashford should start in the center forward position and Martial should return and replace Lukaku to start on the left wing. Happy with the line up, well balanced and definitely defenders will be helped by matic and herera, as well as busting forward by wing backs.